On behalf of all the Chinese people including scholars and students in USA, We would like to thank you for your generous donation for Wenchuan earthquake victims and survivors in all kinds of fundraising activities/avenues and your continuous care, concern and contribution to earthquake relief in China. At 14:28 local time on May 12th 2008, a deadly and strong earthquake measuring 8.0 on the Richter scale struck SW China, where the seismic epicenter, Wenchuan County was located. So far, this earthquake killed 69181, caused 17398 missing and 374008 injured, and left as many as 5 million homeless and the number is still increasing. Thousands of millions of survivors are calling for help and your donation is a timely response to their needs. Thanks for your care and concern about the people in the disaster. With your generosity, we are able to make purchase of critical supplies such as food, water, clothing and shelter supplies for affected families and any longer-term recovery and reconstruction in the local areas. We are very grateful for you offering your hand to the people in desperate needs. Once again, on behalf of all the survivors in Wenchuan earthquake, we would like to thank you for your very generous donation and support. Please don ‘t leave me — so glad to see you after the quake. I am Spanda Po, Heeeee-Haaaaawwww!!!!! Below is the excerpt of an article from The Independent, which discloses the secret negotiation of a treaty between US and Iraq. For Americans, this is a great deal–with the soaring gas price, who cares about the benefits of Iraqis? Yet, to all the self-righteous, (American) patriotic democracy chasers out there, next time, think of the imposition of the unequal treaty before you preach or criticise. If losing sovereignty, dignity, independence and even the right of being safe and happy is the cost of becoming a ‘democratic country’, or a democratic COLONY, I don’t see how Saddam or Hitler can be labeled as worse–after all, it’s all about the law of the jungle. Never heard of it? How about dragon boat festival. It is a Chinese traditional festival. The date is May 5 of the lunar calendar. For this year, it’s tomorrow. The origin of the festival is still a myth. The widely accepted story is that it commemorates the great ancient poet Quyuan (340 BC – 278 BC), who committed suicide in the miluo river after his country was conquered. Here is a more detailed description on wiki. To my understanding, it is also an important date for ancient people to get ready for the summer–the first season harvest is over, flood is coming, so are diseases，snakes and bugs. There are a lot of activities people do for this festival. They are a combination of celebration, rituals of warding off evil and practice to prevent disease. 1.The most popular activity, is NOT dargon boat racing. 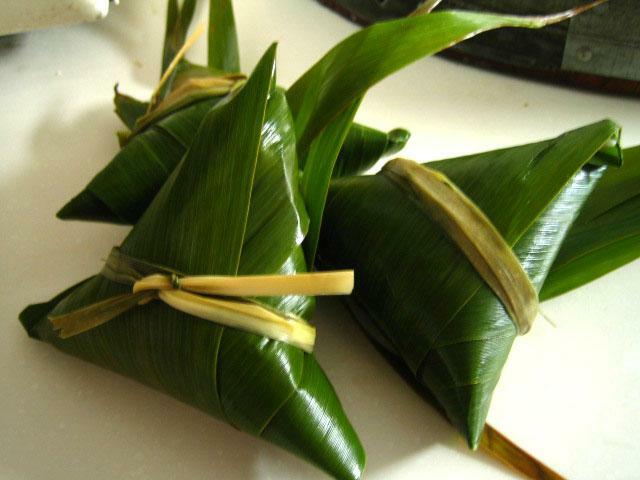 Eating Zongzi, rice balls wrapped with leaves, is what most people do. 2. 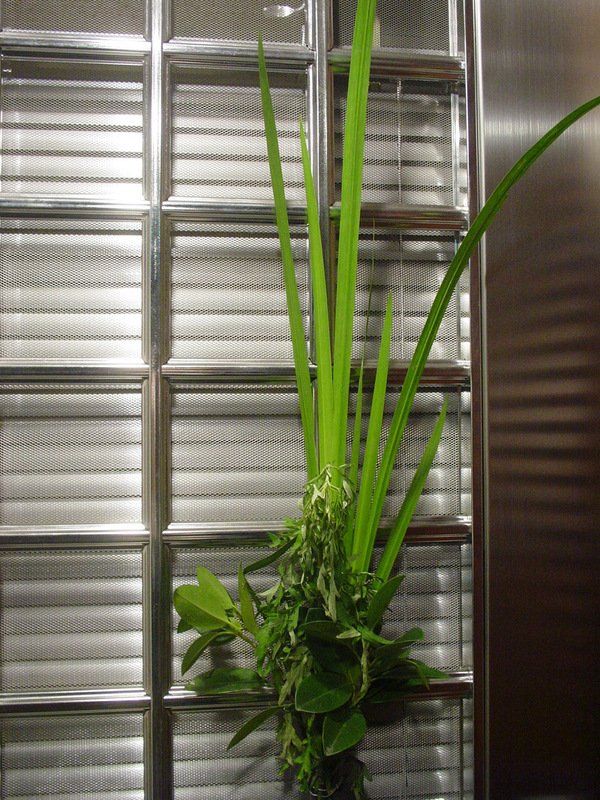 Sweet flag (changpu) and mugwort (aicao）are hanged, usually by the window or behind the door. Some parents use the herbs to bath young children. Later in summer, they can be burnt as mosquito repellent. Where I came from, farmers still keep the tradition of picking herbs in the mountain prior to the day and trade them in the morning of the festival. 3. Of course, the dragon boat race, popular for people live near the water. 4, Some people may also eat red-yolk egg (salted duck egg) or drink realgar wine. The realgar wine is also used to prevent and treat snake bite. 5.Some people wear colorful sachets filed with scented herbs. A less practiced tradition is to tie five-color （white, blue, black, red and yellow）threads on Children’s wrists, ankles and neck–hoping the power of the five colors to keep snakes, scorpions and other danger away from kids. 6. 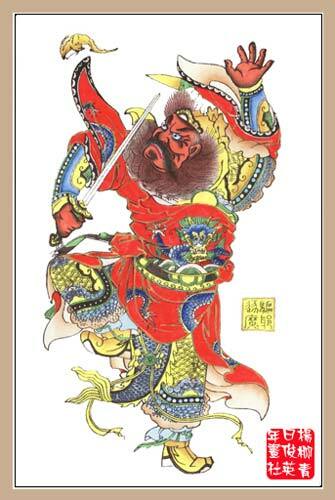 People hang pictures of Zhongkui, a traditional guardian figure to ward off demons and evil. Thanks, Tom Megalis. I don’t think more comments are necessary. Just cross your fingers and enjoy. [Notel] All contents are privileged by original authors and owners from Internet. Illustrations and the text are translated by the editor. China (Wolong) Giant Panda Protection Research Center islated in the center of the seismic zone. For 30 hours after the strike of this catastrophic earthquake, communication couldn’t be established between the center and the outside. During this time, the staff were holding their positions, promptly transferring the giant pandas to safe places even the center had lost all contact with the outside. 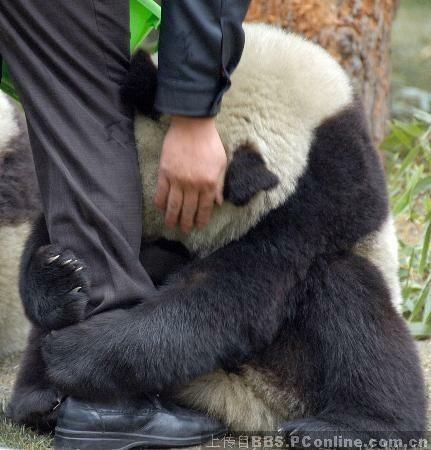 Giant Pandas were scared by the quake, crouching into a fuzzy ball, and some refused to eat. The staff treated the pandas like children, pacifying them, preparing food as usual even under such difficult circumstances. In order to save the pandas, some staff members were injured. Stranded foreign tourists and researchers were taken care of and no one was injured. Let all of us lend our hand to contribute to the protection of giant pandas and show our respect to the staff who protect the lovely pandas. Some of the giant pandas were relocated from Sichuan Provice to Beijing, Zhejiang and Ya’an. So far there is no death report of giant pandas. But three of them are missing and nowhere to find.